For my fellow bloggers, don’t you agree that trying to determine what your audience wants is just plain tough sometimes? In fact, sometimes it feels like trying to connect with your audience on your blog is like pulling teeth. It’s tough trying to get them to reply to your emails, comment on your blog posts, and even interact with your social media! There are all kinds of tips, tricks, and techniques out there that work a bit, but most appear to have limited results. Even if you do get results, often times you’re only getting engagement from a handful of people at best. Recently I came across an online quiz service called Interact. 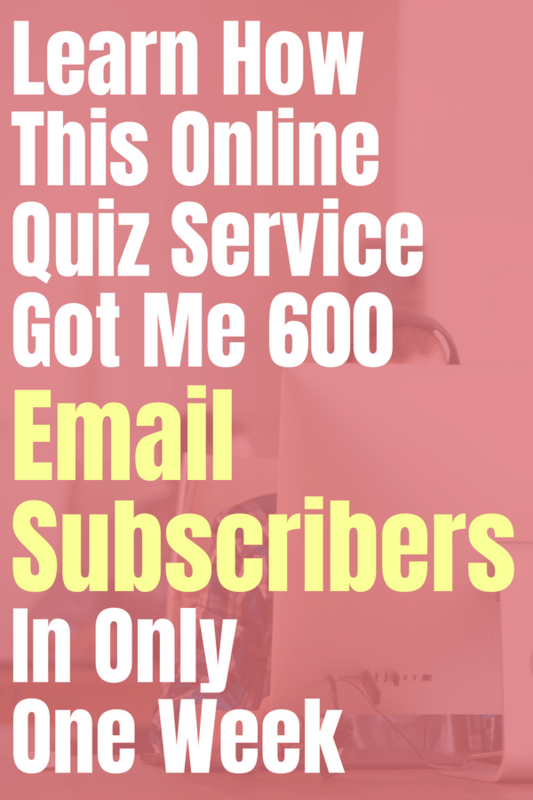 Their quiz-building software touted the ability to generate leads to my blog and email list to help grow your business. Creating my first quiz on bullet journals is definitely among the most fun things I’ve done on my blog in 2018 and has proven to be a terrific way to market my blog to new readers within a short amount of time. 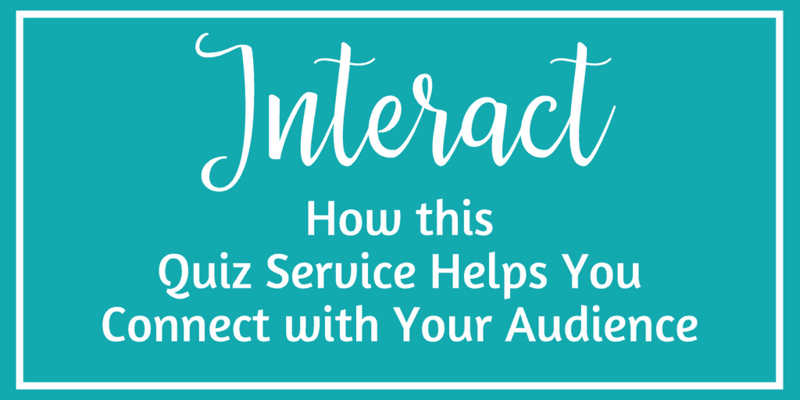 In this post, you’ll get to see how I utilized Interact to build this quiz to better connect with my audience. You’ll also get a sneak peek of all the tools that Interact has to offer its community to make quiz building easy, fun, and beyond enjoyable. If you’re not familiar with my blog, a large part of what I offer to my audience revolves around bullet journals. Bullet journals, in short, are a DIY planner/journal/to-do list in one and have been an amazing tool for many to improve their time management and productivity skills. That said, it’s a vast community with many users whose artistic and organizational talent vary greatly. It can make it a little challenging to understand my blog’s community prefers in terms of preference when I write articles about bullet journals. 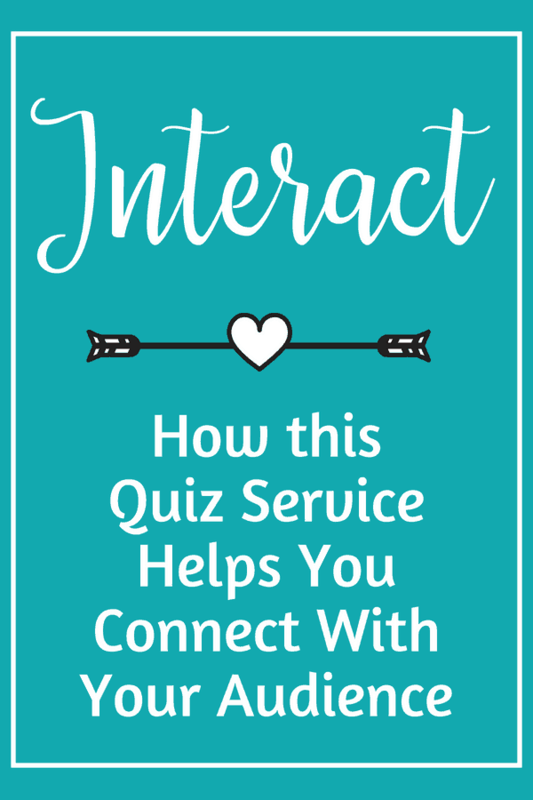 Here is how Interact helps me connect with my audience through their quiz service! With the interact quiz service, I can easily determine the results of each person who goes through the quiz. Interact software makes it extremely easy to see which quiz result is the most common (and consequently, the least common), as you can see in the graph below. Getting to see which types of bullet journal styles tend to gravitate toward my blog more than others, I can tailor future content to fit the needs of a certain majority rather than posts that try to please everybody. 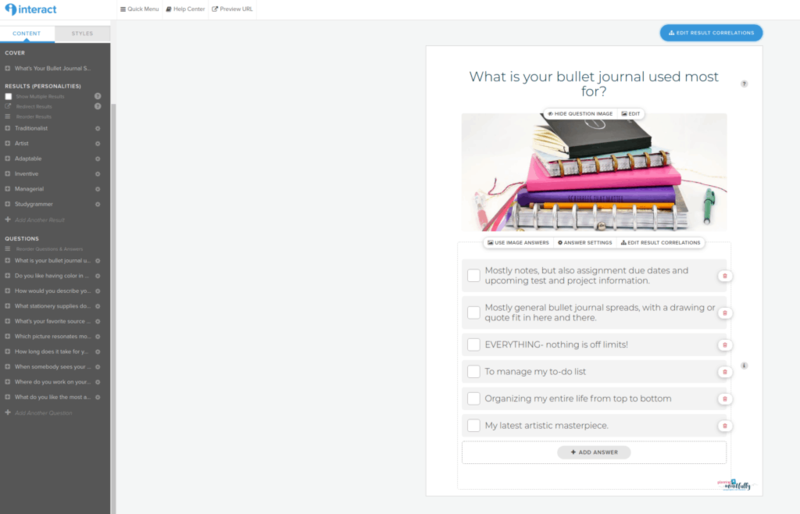 My bullet journal quiz is connected with my email service through Mailerlite. I was amazed at how easy that aspect of the quiz was to set up. As you see below, at the end of the quiz, people have the opportunity to put in their email address to view their quiz results. Each individual who provides consent to be added to my email list is placed in a ‘Bullet Journal’ group. Upon joining, they receive a welcome email that goes into detail about what I offer them. These users get my regular, weekly content I send to my entire email list. 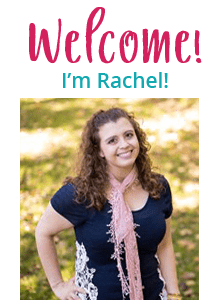 However, when I have special promotions or information about bullet journals (whether it’s shop sales, product information, special blog posts), these users will also get special emails tailored to their needs. Interact provides the ability for their users to sort their quiz takers into even smaller, more specific groups tailored around their quiz result. While I currently do not take advantage of this service, this is something that I hope to do in the future. People everywhere love a fun, relaxed online quiz. Especially when the quiz is related to a topic they enjoy significantly. 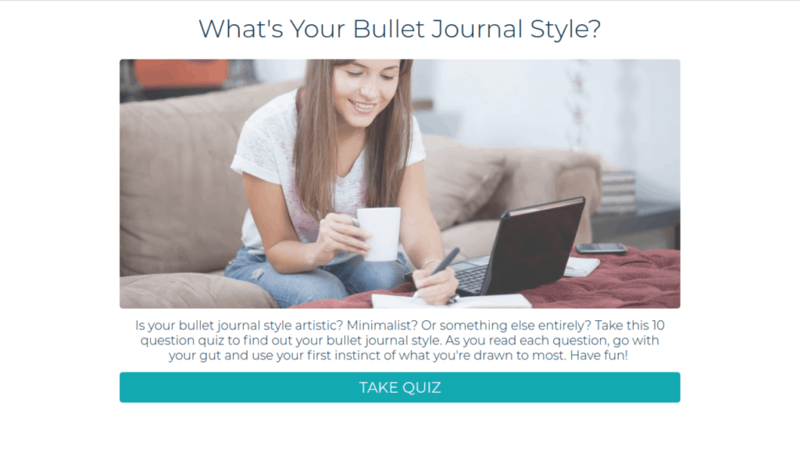 Sharing my bullet journal quiz in special groups on Facebook, Instagram, and even Twitter is a fun way to drive brand new traffic to my blog. Not to mention, people love to share their results when I post to social media. Often times, they will tag their friends to see what their results are. When I discovered Interact, I was beyond excited to try the service out. 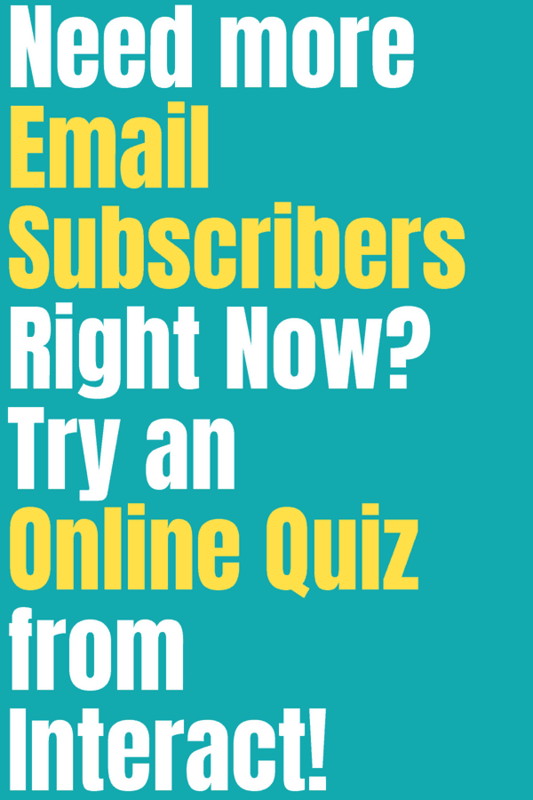 Not only do I have a huge penchant for online quizzes (part of the psychology major within me), but I had a feeling it could be a fun AND straightforward way to generate more people to my blog and my email list. Beyond getting to create an amazing quiz to help you better connect with your audience, there are other features that made Interact stand out compared to other quiz services. Here is why I think Interact is the best choice for creating quizzes. When I ran into a little hiccup, all I had to do was use the chat feature located in their help center. I got a reply back from one of their employees within minutes. She solved my issue and everything was back to normal within 15 minutes of sending the initial request. 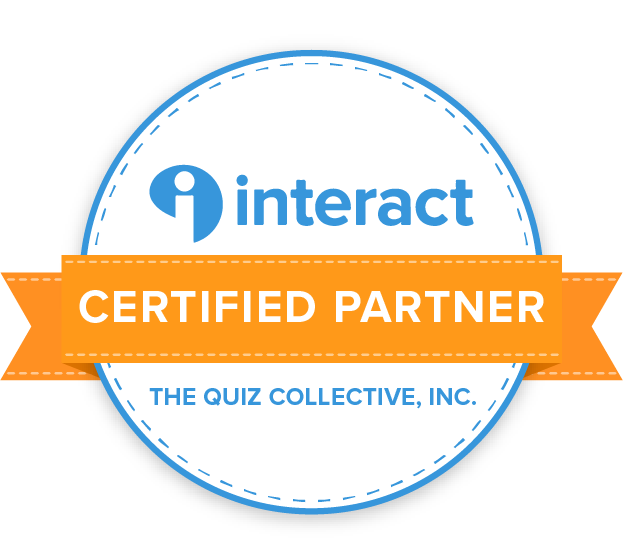 Prior to using interact, I had absolutely no experience with using a quiz building service. On their website, they offered a plethora of tutorials and articles to help get you started. I easily created my first quiz within a few hours with the help of all their useful tools. It’s not easy to connect with your audience if the software is too complicated for you. Interact is so easy to use! Everything is straightforward and you don’t need to know special coding or programming to be successful. Building the full quiz doesn’t have to be difficult at all! They have dozens of template options to choose from. Personally, I believe makes setting up your first quiz so much easier. You may even find quiz templates available that match your own needs so you don’t have to create everything yourself; all you need to do is adjust colors, fonts, and photos if necessary. If you’d rather, you can also create your quiz from scratch, too! Something I’ve noticed about other quiz services is that you can’t really customize the look to match your website. Sometimes there are limits with what photos to use for answers and quiz results. I was beyond pleased how easy it was to customize colors and font to match the rest of my blog. Want to create a quiz as a means to better understand and connect with your audience? Then you will LOVE using Interact. I’ve been floored at the results received by using the service in such a short period of time. If you’d like to try out Interact for yourself, click the link so you can get a peek at how easy and amazing this service is to use. 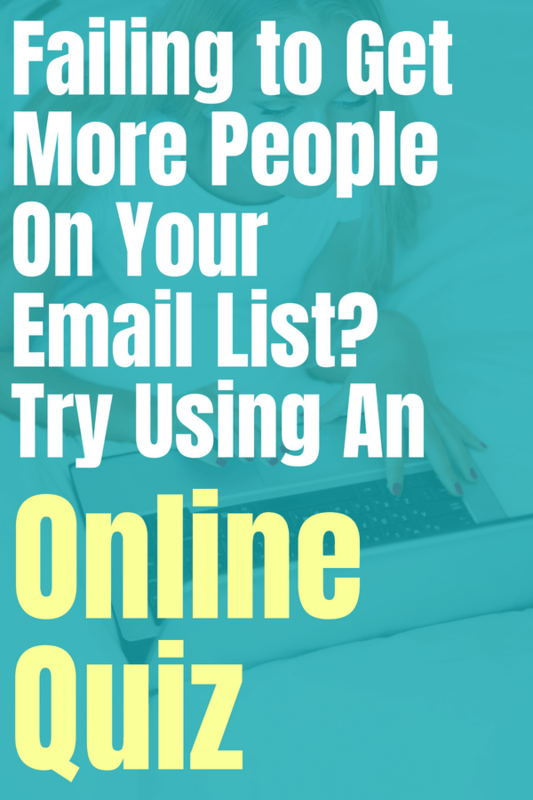 While they have a free program, the paid options allow you to use your quiz to work toward building your own email lists. 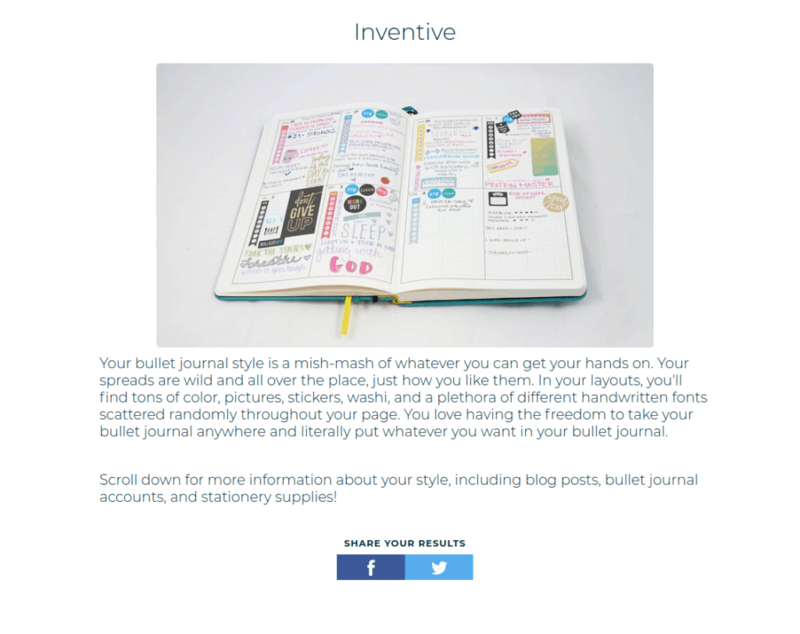 If you’d like to see my quiz in action, head on over to my ‘Bullet Journal Style Quiz’ post! Make sure to post your result on the comments.